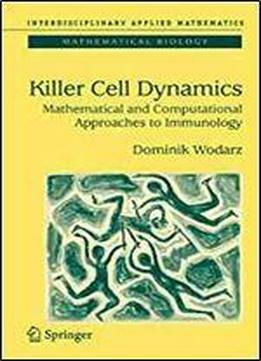 This book reviews how mathematical and computational approaches can be useful to help us understand how killer T-cell responses work to fight viral infections. It also demonstrates, in a writing style that exemplifies the point, that such mathematical and computational approaches are most valuable when coupled with experimental work through interdisciplinary collaborations. Designed to be useful to immunoligists and viroligists without extensive computational background, the book covers a broad variety of topics, including both basic immunological questions and the application of these insights to the understanding and treatment of pathogenic human diseases.